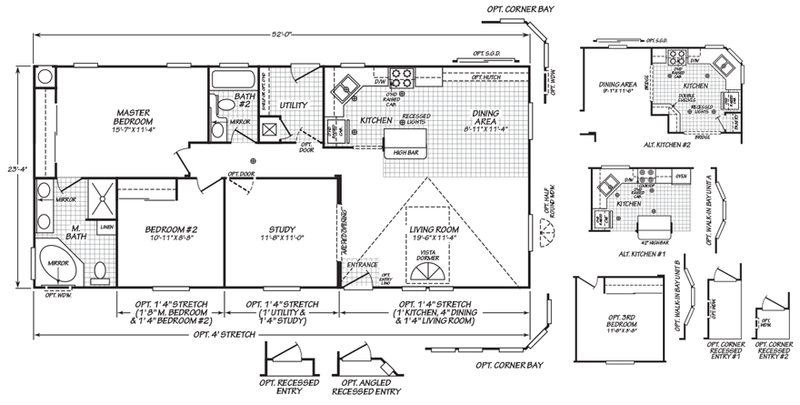 The Calero model has 2 Beds and 2 Baths. 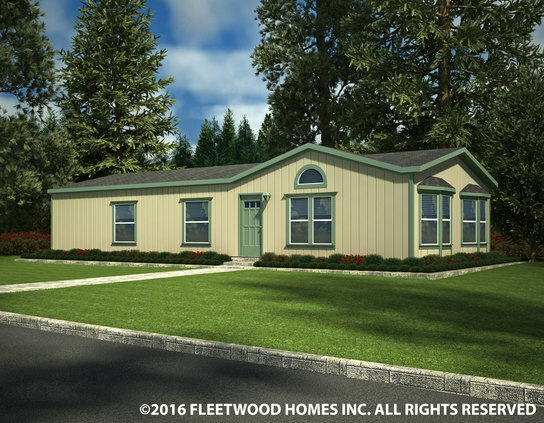 This 1213 square foot Double Wide home is available for delivery in California, Arizona, Nevada. The elaborate Calero has appealing features everywhere you look, making it one of our top selling multi-section homes, and its full suite of upgrades and options allow for a truly “customizable home”. There’s recessed lighting and an island/high bar in the kitchen and don’t blink, you just might miss the beautiful vista dormer. 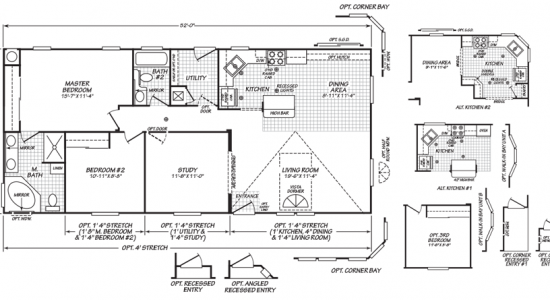 Make sure to spend time reviewing the full suite of options with a housing consultant. 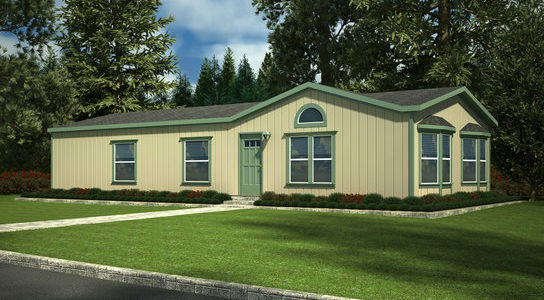 Ask your housing consultant about the other great features that come standard on the Calero manufactured home.